I love having cookies and biscuits, blame it on me being an avid tea drinker. I love my morning tea and then again in the evenings and just when feeling under weather. I make myself a nice cuppa of steaming hot ginger tea or masala chai as they say. The chai masala can be easily bought from any groceries selling Indian food. Here in Dubai, you can find nice homely and fragrant chai masala at Al Adil, they have branches across UAE. However I have a time tested chai masala recipe used in my household. I will share the same in the blog soon! Cookies can be quite filling when busy mornings leave you with no room to fix breakfast. A cup of tea, a couple of cookies and the morning is sorted. 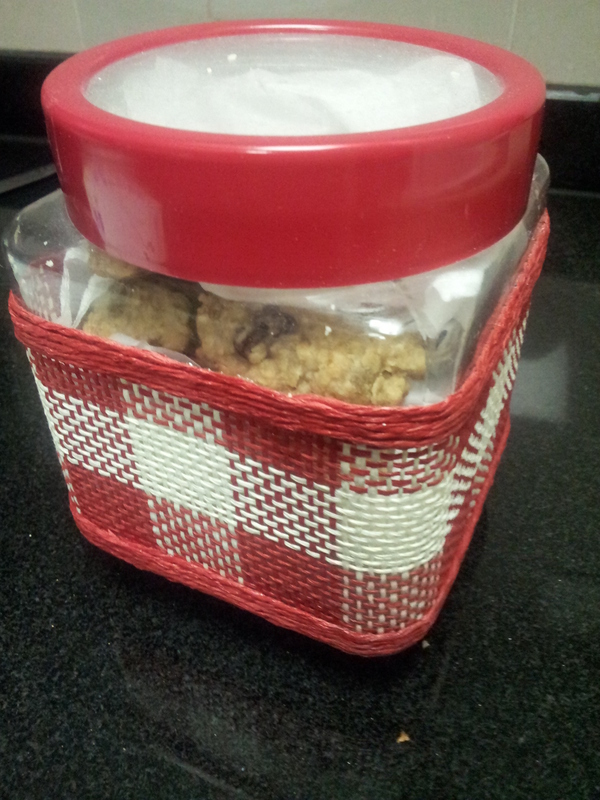 I love double chocolate chip, coconut orange blossom water and oatmeal honey cookies. This time however I was in mood for something healthy. Oats are a healthy option to feed on. Now I am someone who is fond of having breakfast the traditional way so give me parathas, poha, upma, idli, wada sambhar and you see me grinning. Eating muesli or cereal is never my idea for breakfast. When me and S got married, difference in breakfast options came to the forefront. He insisted that I start eating healthy but I was too adamant to give up my butter laden parathas with a side of pickle. Cooking breakfast every morning while struggling to get out for work, seems a task in itself and hence cookies with a side of peanut butter toast is a staple go-to breakfast option on most of the crazy weekdays. 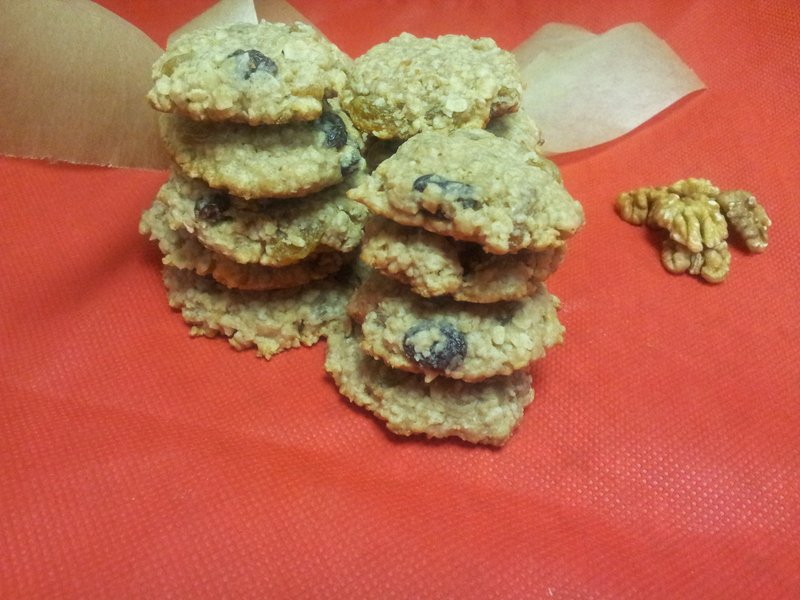 So this recipe for oatmeal cookies seemed like the easy way out to incorporate healthy options and give up the store bought flour laden cookies and biscuits. When baking goodies, prep time is crucial. Start with having all the ingredients assembled so that you don’t have to keep looking for them once you get started. So I start with removing the butter from the fridge and bringing it to room temperature. Preheat the oven oven to 180 degrees Celcius and line the baking sheet with parchment paper. You could buy store bought ready to use parchment paper sheets, Lakeland has some good options. In a big bowl, beat butter using the hand mixer for 1 minute until nice and creamy. I usually use Lurpak or Elle & Vire brand unsalted butter. You could also use salted butter, if that’s what you’d use, omit the salt in the recipe. Now, add the brown sugar and white sugar to the butter. I use Whitworth’s light brown sugar and SIS brand for the white granulated sugar. 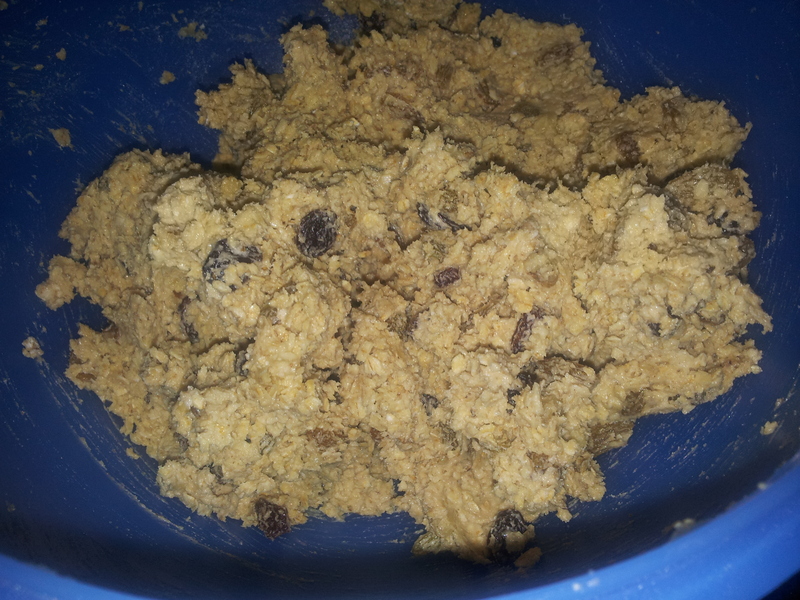 I would love to use the dark brown sugar next time since it gives a rich brown color to the cookie batter. Beat until sugar gets mixed well and the mixture does not appear grainy. 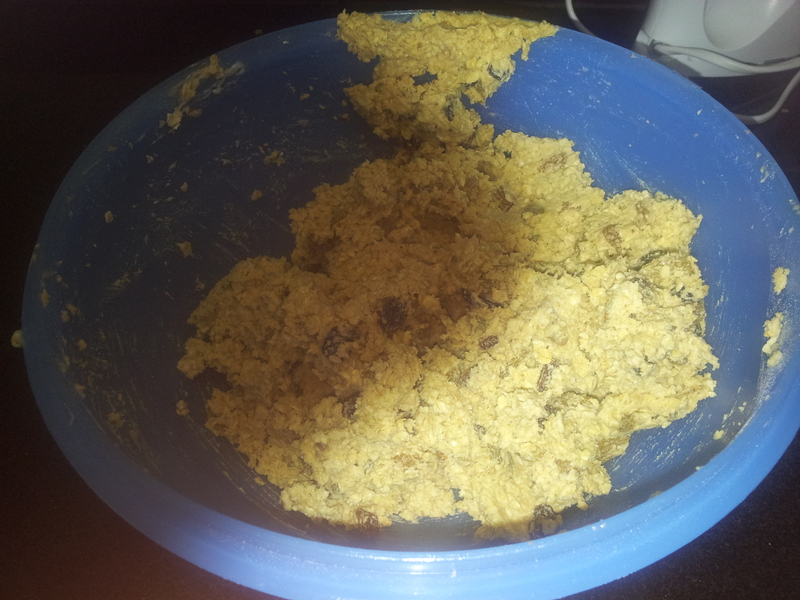 It usually takes 3minutes for the mixture to look fluffy. Add one egg at a time to the mixture and beat well maybe for 1 minute each. I use Omega 3 large or medium eggs. You can add the vanilla extract at this point and let it blend together with the batter. In a different bowl, combine flour, baking soda, salt and whisk it well so that the baking soda is mixed with the entire dry ingredients. The original recipe called for cinnamon however I did not have the same handy and hence skipped it completely from the recipe. Add the flour mixture to the creamed mixture and mix well with a spatula. 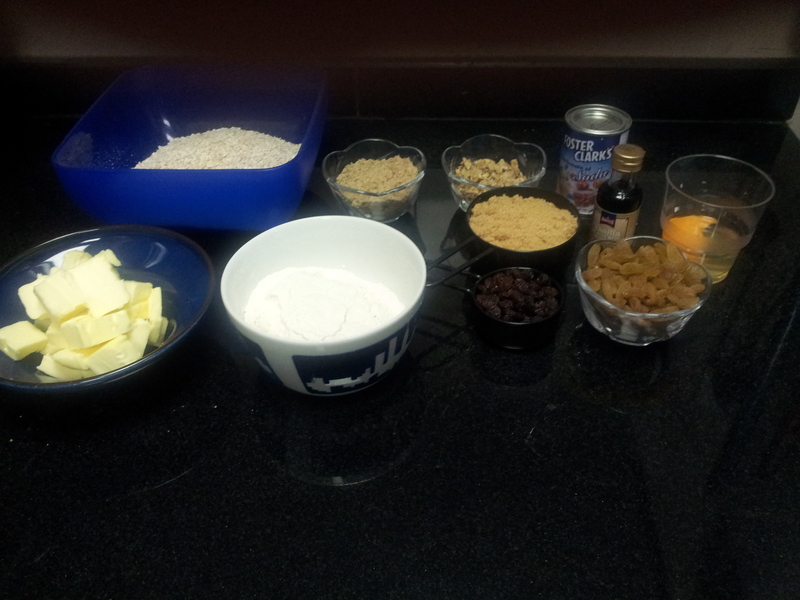 Add oats walnuts, raisins and cranberries to the mixture and combine everything together. 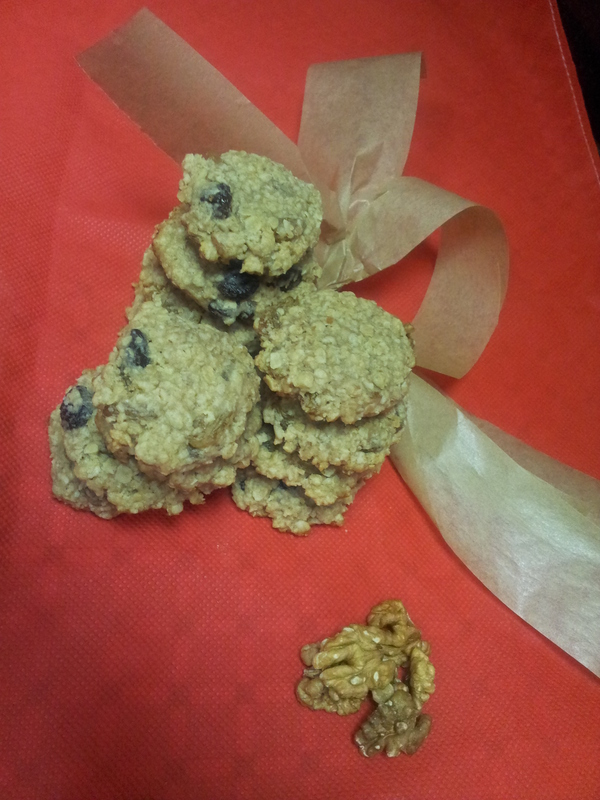 While walnuts give the cookies a nice crunch, raisins and cranberries give a nice sweet and soggy feel to them. It is a beautiful contrast in textures. Now take a small ice cream scoop and take the cookie batter. You can dab the cookie ball slightly and flatten them with your fingertips, Make sure to keep adequate space between two cookies allowing them to bake well. Bake the cookies for about 15 minutes or until golden brown. The corners will be soft but the center for the cookie will be soft and chewy, If you want them crisp increase the flour in the recipe and bake for 2-3 minutes more. 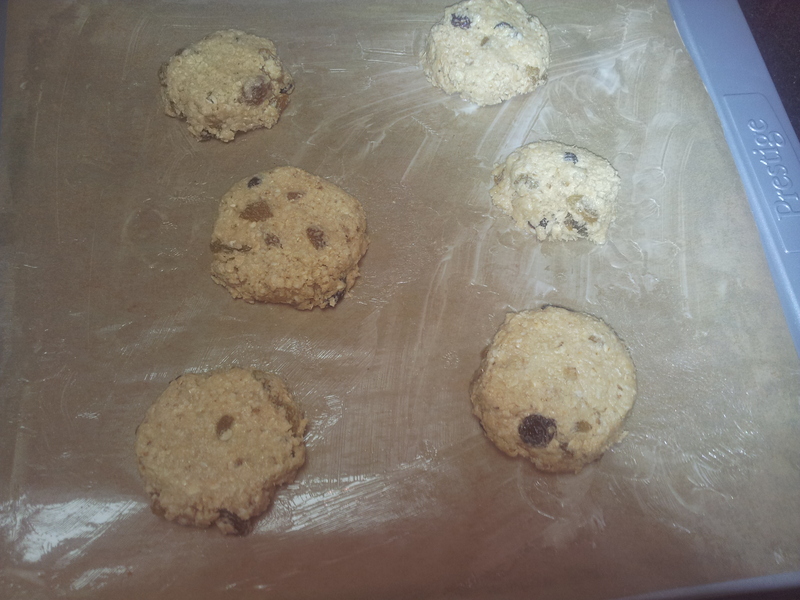 Remove from oven and let the cookies cool a few minutes on the baking sheet. Store them in an airtight container, they stay well for 10 days. This is when they do not get polished off! I love how my kitchen smells heavenly while these cookies are baked. Until my next post, happy food memories ahead! The cookies are yumm, can vouch for that, so is the after-smell from the kitchen!